Flattering Crossover Style Apron Pattern. 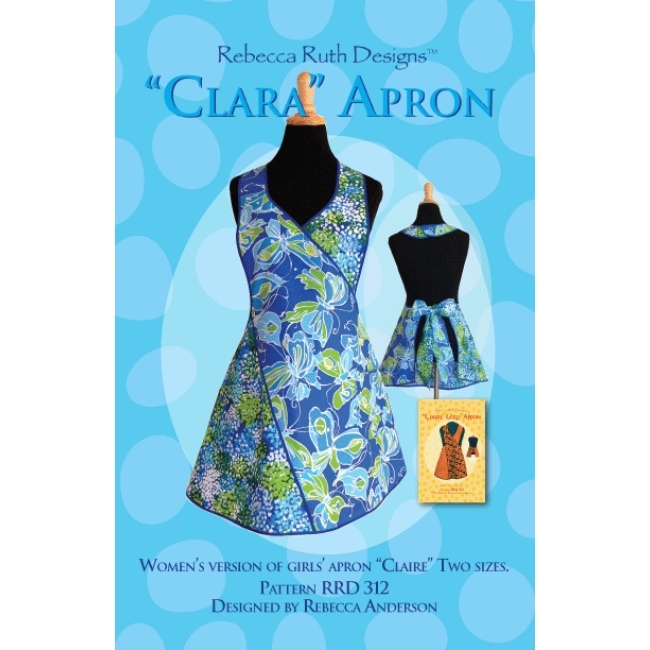 The Clara Apron Pattern is a flattering crossover style apron design from Rebecca Ruth Designs. Includes full size pattern pieces printed on quality white paper stock. Apron pattern size is Woman's One Size Fits Most. Includes complete instructions with color illustrations. Designed by Rebecca Anderson.